In this guide, we will explain what the best settings and keybinds are for Apex Legends. We will go over how to optimize and tweak your settings for optimized performance and increased FPS. 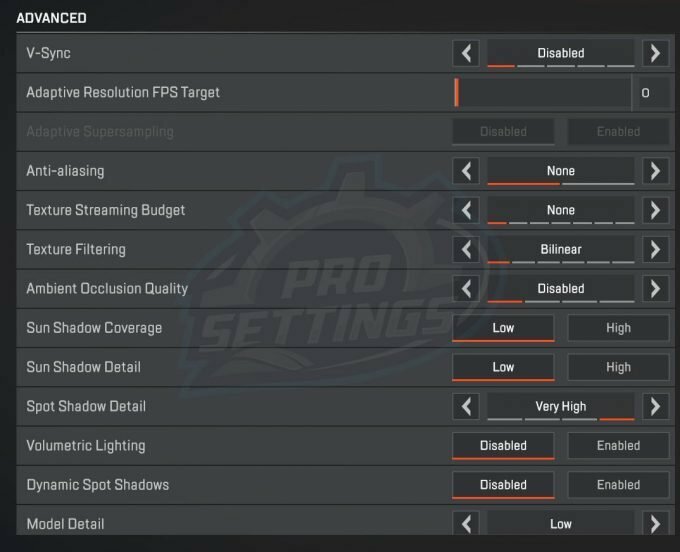 Furthermore, we will show you some pro settings from professional Twitch streamers. If you want the maximum performance and highest frame rate (FPS) in Apex Legends, you will naturally need to lower your graphics settings. The lower the resolution and graphics settings, the higher FPS you are able to get. Overall, going from high settings to low, increased our framerates with more than 50%. That’s a 50% performance increase, and for people in the lower end of PC specs, it can be very noticeable. Besides lowering your video settings, you can gain some performance improvements by tweaking your Nvidia settings. This, of course, requires that you are using an Nvidia graphics card in the first place. Select the Global Settings or Program Settings and find Apex Legends on the list. If you choose Global Settings, the changes will affect all programs and games. This should net you a performance increase as well. Besides this, it is important to keep your graphics drivers updates as well, especially if you are playing games that have just been released since the vendors often push updates for these specific games. It is always recommended to clean your computer once in a while. For this, we recommend that you download and install Ccleaner. When you have downloaded the program and installed it, just open Ccleaner and go to the Cleaner tab. Click Analyze followed by Run Cleaner. This will delete your temporary internet files and many other things which you can check before you click on Run cleaner. We have found the keybinds of famous streamers like Shroud, Ninja, DrDisrespect, and summit1g. Keybinds are always a personal preference, but these settings and keybindings is a good starting point. Shroud uses a DPI of 400 and an in-game sensitivity of 3. Ninja uses a DPI of 800 and an in-game sensitivity of 2.5. Summit1g uses a DPI of 400 and an in-game sensitivity of 2.8. Drdisrespect uses a DPI of 400 and an in-game sensitivity of 3. In this video, Shourd, Ninja, Summit1g and DrDisrespects shows their in-game settings. We hope that this guide have helped you in determining the optimal settings for Apex Legends.